Sen. Robert Menendez (D-NJ) has disclosed that his campaign recently recently paid back $11,200 for a free private jet trip he took three years ago from a Florida campaign donor. This latest payment comes after the senator paid back $58,000 out of his personal account for two other private jet trips he took to the Dominican Republic with that same donor, Dr. Salomon Melgen. The senator’s office also announced Friday it was opening a legal defense fund to try to cover the cost of mounting legal bills. Menendez is facing more than $400,000 in legal defense bills so far, his office said. New Jersey Sen. Robert Menendez denies allegations linked to the investigation of a Florida doctor. Jonathan Dienst reports. Investigators have said the criminal investigation is focusing in part on whether Menendez improperly contacted Medicare officials at a time when Melgen was facing investigation for alleged overbilling of Medicare. Menendez’s spokesman has said the senator only called Medicare officials to suggest they clarify poorly written rules and was unaware of any investigation at that time. Melgen, whose offices have been searched twice by the FBI, denies any wrongdoing and is suing Medicare in what he says were mistakes by the agency. NBC 4 New York reported last week the federal criminal investigation into the senator is also focusing in part on his relationship with two fugitive bankers from Ecuador. The bankers are accused of embezzling over $100 million dollars from their Filanbanco bank, and their relatives donated thousands of dollars to the senator’s 2012 campaign. 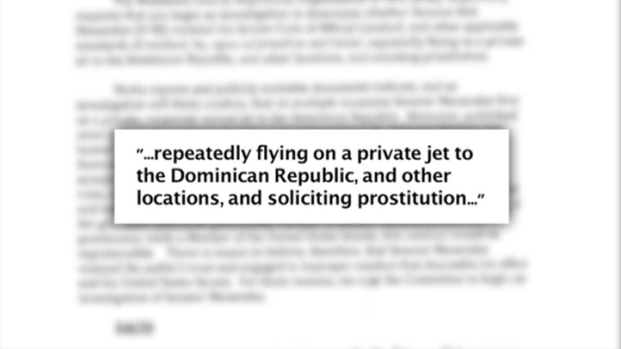 In 2012, Menendez wrote letters to U.S. Homeland Security officials on behalf of Ecuador businessmen William and Roberto Isaias in support of their efforts to gain permanent U.S. residence in the Florida. Federal election records show relatives of the Isaias brothers donated over $10,000 to the senator’s 2012 campaign and over $100,000 to the Democratic Party. The Senator said he never acts based on campaign donations. And he said he agrees with the Isaias brothers, who say they have been unfairly persecuted by the current government in Ecuador.